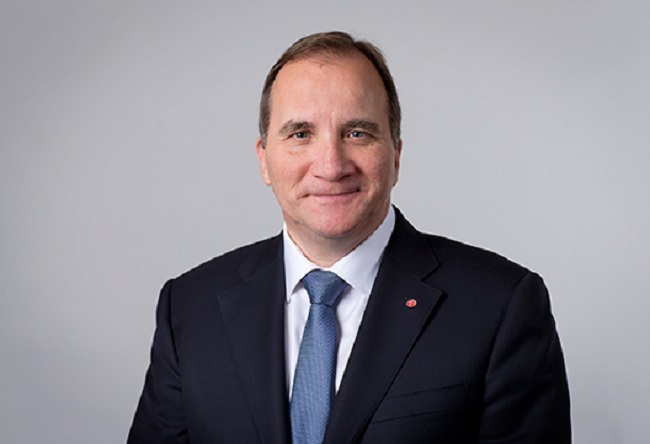 Swedish Prime Minister Stefan Löfven and Phumzile Mlambo-Ngcuka, Executive Director of the United Nations’ gender equality body, UN Women, are urging the EU heads of state and government to join the global UN-led campaign ‘HeForShe’. Together with Executive Director Phumzile Mlambo-Ngcuka, I am proud to share with you that I recently joined her UN Women’s campaign for gender equality: HeForShe. This is a global solidarity campaign that aims to engage men and boys, one half of humanity, in removing the social and cultural barriers that prevent the other half of humanity, women and girls, from achieving their potential. Together, we encourage all our male colleagues who have not already done so to join this campaign, and our female colleagues to support it. The European Union has a long-standing commitment to gender equality that we can all be proud of. Over the years, there has been progress in many areas. However, at the current pace of change, it will take between 20 and 70 years to reach the Union’s various goals and targets on, for example, employment or equal pay. It is obvious that we need to optimise ways and strategies to accelerate progress towards gender equality. We strongly believe that engaging men and boys in gender equality issues is essential in these efforts. Our commitment – as men, but also as stakeholders, role models and world leaders – is crucial to achieve lasting progress. We have a responsibility to work towards reducing women’s share of unpaid care and household work, increasing men’s share of parental leave and promoting equal participation in the labour market. As men, we also have an important role to play in ending violence against women and girls – the starkest evidence of gender inequality. Gender equality is not a women’s issue, it is a human rights issue that affects all of us: women and girls, men and boys. Both genders stand to gain from a more equal society. Both must be included in the action for change, within the EU and globally. And importantly, as we debate growth, we must get serious about gender equality if we want growth to be smart, sustainable and inclusive. We believe that all parents and grandparents want their children and grandchildren to have the same opportunities in life, regardless of whether the child or grandchild happens to be born a boy or a girl. With that belief comes a commitment. We therefore encourage you all to join the HeForShe campaign and to speak out and take action against the inequalities faced by women and girls.